Planning a Wedding? Then let All Valley Party Rentals do all the heavy lifting! We have years of experience assisting in the planning and follow through of small and large weddings. 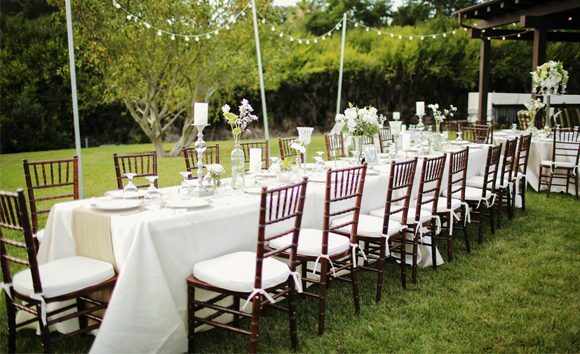 All Valley Party Rentals knows what you need, things like tables, chairs, couches, knives, forks, spoons, napkins, napkin rings, linens, lighting, dance floor, wedding arch, cocktail tables, center pieces, plates, smaller plates, water glasses, wine glasses, dirty martini glasses, and much much more. Come to us and we’ll fill in all the blanks so that you can focus on other problems, like how to tell your in-laws they can’t invite 400 extended family members.